Rustic Eatery Phuket is a very popular restaurant found at the south end of Patong Beach, just before the tall bridge that leads to Amari Phuket Resort. Rustic is small and so discreet from the outside, you would easily miss it as you drive, so look for that tiny signboard hanging outside. Rustic Eatery is cozy and casual, with that atmosphere of a young place with a new mindset. A welcome break from the soulless food served by shop house restaurants of Patong. The food is excellent without being overly sophisticated and the menu long enough to please everyone. 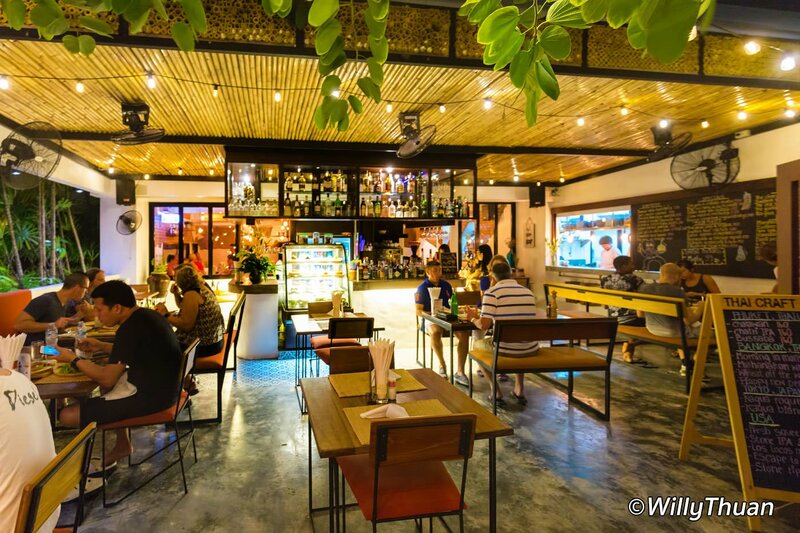 Don’t forget to enjoy a cocktail (starts 99 baht) before dinner as the bar is well supplied, or one of their many craft beers of many origins, some from Phuket: Bussaba, Chatri IPA, Chalawan, all at 180 baht, but also from the rest of Thailand, Japan and USA. Of course the main reason you came here is the food. 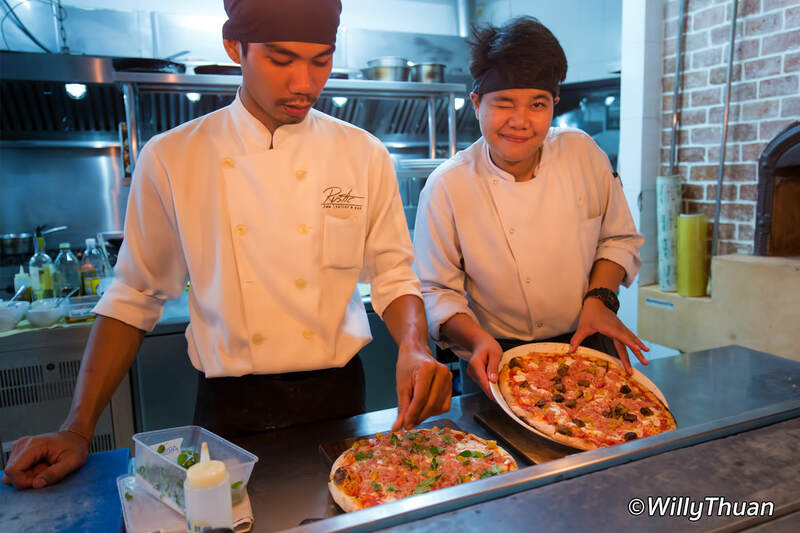 Rustic is one of the very few restaurants in Patong run by this new generation of passionate chefs. Young Chef Nikola Lesar, who is a Master Chef Croatia winner, prepares a short but attractive set of dishes. Main dishes are equally divided between meats and seafood. Meats: Truffled Wagyu fillet mignon and foie gras: 1,400 baht, Australian Wagyu tomahawk 1.2 Kg 3,200 baht, Seafood: Wine and cream French mussels 350 baht, grilled swordfish with caramelized fennel: 500 baht. Rustic, as name hints, is not overly fancy and decorated, not overpriced either. 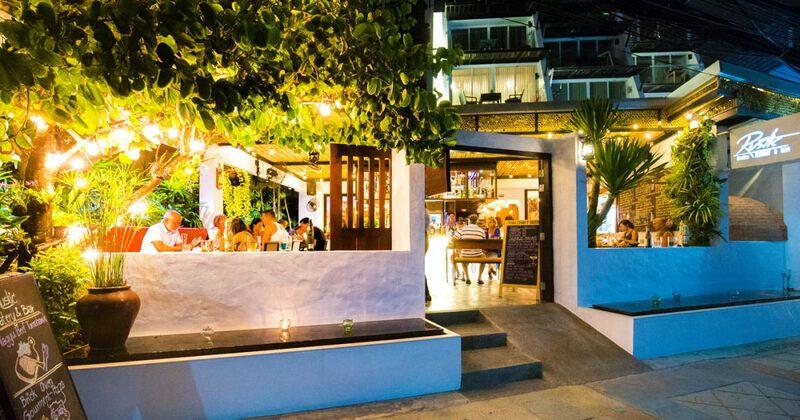 There are other restaurants on the island serving creative cuisine, but they usually are on the expensive side and you would go there on a special occasion only. 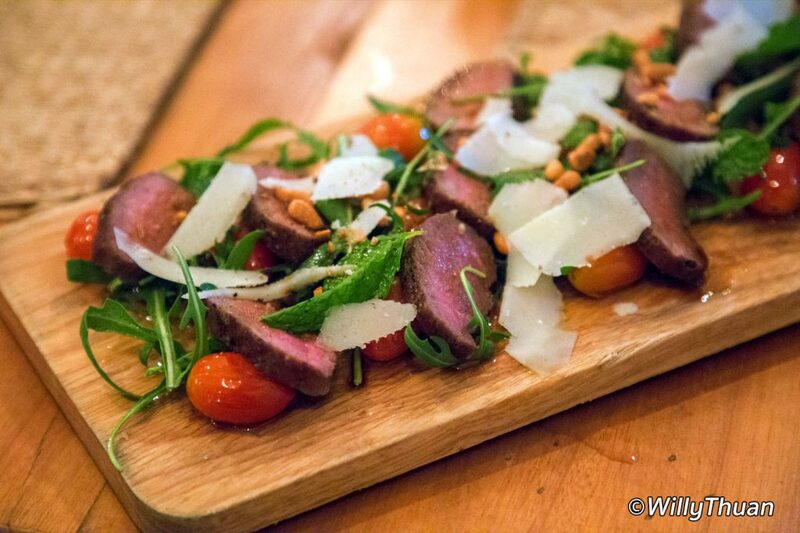 Rustic Eatery is when you feel like great food without the fuss. 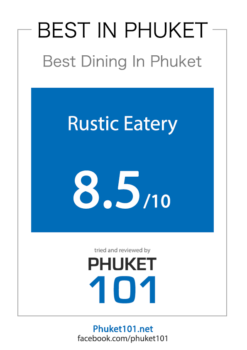 These are some of the reasons why Rustic is so popular, and you should absolutely book in advance! We tried several dishes and all were delicious. The almond and herb salmon fillet was superb. The duck was cooked to perfection (which is not the case everywhere we tried). Their pizzas are legendary and their home-made macaroons and desserts are not to be missed! (We forgot to write the prices so guess what: we are going back!) Menu changes frequently so have a look at the black board to see what’s new. A mention should be made about the staff as well, always attentive and very welcoming. They made sure our dinner was as perfect as it can be! Our ratings are based on quality, food, setting, service and price – We pay for our meals and our stays, and we come unannounced.